As if I don’t divulge enough about my personal life on CTMQ, here’s another: Top-notch freshly baked bread is my favorite food in the world. Oh sure, I like a nice chunk of chocolate or a perfect paella, but I’m a simple bloke. And I love good bread. 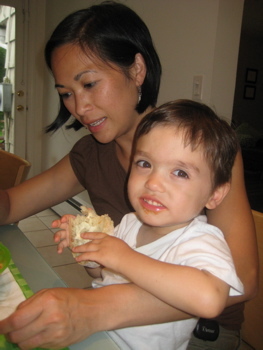 I never really knew what good bread was until Hoang and I went to France in 2004. There I learned how and why French people seem to be satisfied with a bagette and some cheese for lunch. No matter where we went – corner bakeries in Provence or roadside stands in the mountains, French French bread was always superior to anything I’ve ever had in the States. Bubbly, crusty, buttery, soft… Incredible. 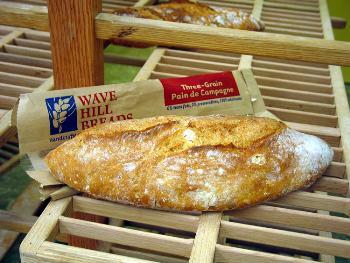 When I saw Wave Hill Breads’ pain de Campagne on the “500 Things to Eat Before It’s Too Late” list by the Roadfooders, I couldn’t wait to get out to Wilton and grab a loaf. As it happened, we’d be meeting another Smith-Magenis child from Wilton on a trip back from Delaware. As excited as we were to meet another family with a unique child like ours, don’t tell Hoang but I was almost as eager for the bread. 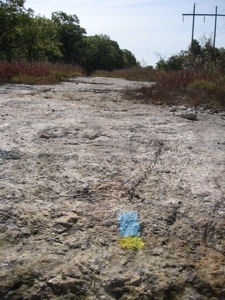 By the way, the “Wave Hill” in the name is not in Wilton – or even Connecticut. It’s where the owners got married across the Hudson in New York. These guys are committed: They started their bakery after more than 20 years in corporate life. They apprenticed to the Stowe, VT baker, Gerard Rubaud, and adapted his recipe. They learned how to make pain de campagne (country bread) in stages, practicing at home in between lessons. But their best accomplishment may be the following, “We enjoy seeing Europeans smile when they taste WAVE HILL bread for the first time and say that it reminds them of the bread in their home country.” Let’s get to it. Hail Mitchell Rapoport and Margaret Sapir! They have brought good bread to southern Connecticut. Admittedly, I am a bread fanatic — I could live on it, and did so one full week a few years ago in Paris — and there is no complaint I voice more relentlessly than my belief that so much bread is mediocre. In this category I include nearly all New York bagels and delicatessen rye, for which there can be no excuse, not to mention all the sub-par Italian rolls on which hero sandwiches are made hereabouts. The three-grain pain de campagne that Mitch and Margaret make in their little bakery off Route 7 in Wilton shuts me up good. It is a gorgeous loaf with a rugged, muscular crust and dense insides that provide just the right tooth resistance for complete bread enjoyment. It is great with cheeses or as the basis for a sandwich or simply spread with soft butter; and there are plenty of times, coming home from the bakery with a hot loaf, that I eat half of it a capella, with no companion other than water. According to the bag in which it’s packed, the loaf is made from flour, water, spelt and rye berries, sea salt, and yeast. The spelt and rye berries (organic, of course) are stone-ground daily on premises; and loaves are baked each morning (except Tuesday). They are available here at the bakery as well as several local markets. Note: the Wave Hill repertoire has recently expanded to croutons — huge, gnarled, crusty things that make any salad deluxe — and an item called “just crust,” which is a buff chip available plain or infused with curry or hot pepper. We tore into the loaf before even hitting the road again. (The north to the Ridgefield Ice Cream Shop – so yeah, we had bread and ice cream (here) for lunch… We were ending a vacation!) 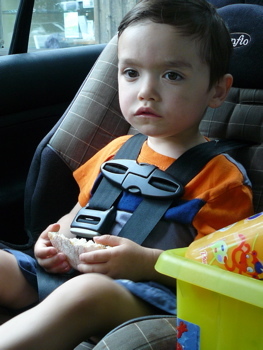 Damian loved it and I slowly chewed my chewy hunk while driving up the terribly choked Route 7. 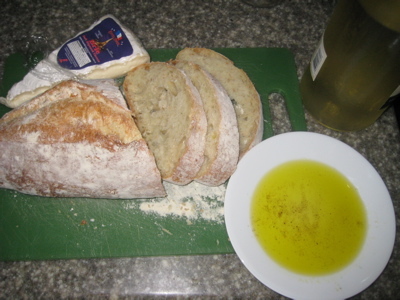 The endless traffic and congestion didn’t matter to me, for I was enjoying plain, warm bread. The bread has giant bubble holes all throughout it; bigger than any you’ve probably ever seen. This is rustic bread, made with very few ingredients and with traditional methods. I loved it. Once home, we enjoyed it with some olive oil, salt and pepper. Perhaps a little brie? Oh yeah, I’ve found part of my perfect Connecticut meal. 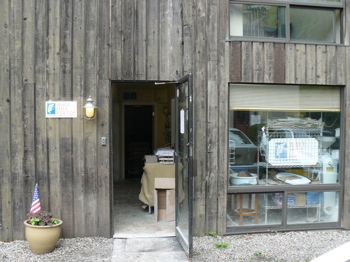 Thanks so much for writing up your story about Wave Hill Bread. All the bread shapes are made out of the same dough. Please do check the Website for new places to find our bread, including the wonderful farmers’ market we participate in, even during the winter.